Banks, asset and wealth managers, and other types of financial institutions—long at the heart of our societies—are being reshaped by technology. Digital disruption, however challenging, can open the door to new opportunities. But how to capture them? Explore BCG’s latest publications on financial institutions, and hear the views of our experts. From electronic payments to big data analytics, technology is reshaping how money flows among consumers, merchants, and banks. Customers today expect a simple, intuitive, and low-cost experience. BCG’s Christophe Duthoit discusses the key attributes of financial institutions that have successfully engineered their customer journeys. Banks understand that digitalization will drive the successful delivery models of the future. Few, however, have managed to make it pay, suggesting that a fresh approach to digital is needed. 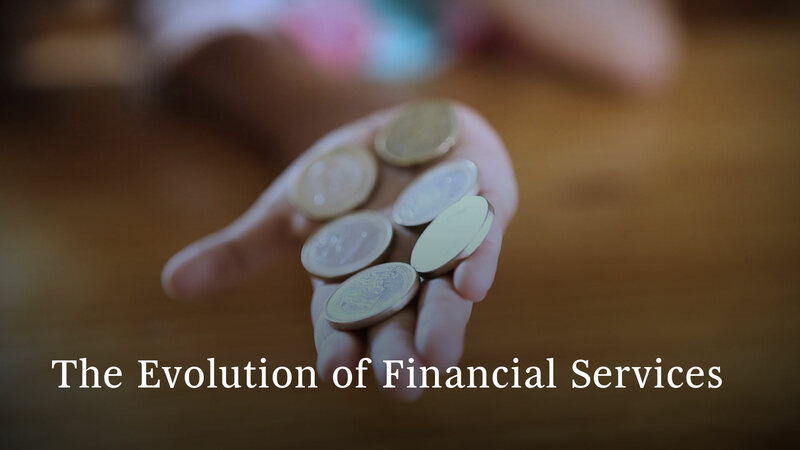 How will financial institutions evolve? How will consumers bank ten years from now? Will digital natives redefine the landscape? Connect with us on LinkedIn to view our latest insights and share your ideas. What do retail and wholesale banks gain by tackling customer pain points? Their share of $1 trillion in new revenue over ten years. BCG’s 18th annual report on global and regional personal wealth examines how advanced analytics are emerging as a differentiator for successful wealth managers. Our 16th annual report finds the industry primed for an agile transformation that will enable asset managers to master digital and advanced analytics at scale. Digital disruption has come to corporate banking with a vengeance. Banks need to develop a vision of how the industry will evolve, formulate a comprehensive strategy, and plot their digital initiatives. The continuing migration to digital services and business models is pressuring investment banks to be more client centric, develop a more strategic workforce plan, and become more agile. By treating third parties as strategic partners and customers, retail banks can turn the disruptive power of open banking into a source of long-term revenue growth. Financial institutions can increase profits despite challenging regulatory and market environments. Asset managers in China are facing fundamental changes to their industry brought on by the rise of digital technology and advanced analytics. Qin Xu, partner and managing director, explains how companies can explore new ways to maximize the value of this ongoing transformation. Anna Zakrzewski, partner and managing director, discusses the overall state of today’s wealth management industry and the dynamics that are forcing players to change in fundamental ways. Asset managers rode 2017’s bull market to a great year. But the trends squeezing their margins are gathering pace. BCG’s 2018 Treasury Benchmarking Survey, the fifth in a biennial series, continues the story of how treasuries have responded to one of the most challenging periods in banking history. For most, it has been a journey of significant and, in some cases, profound change. When it comes to meeting treasurers’ fast-changing needs, trust is paramount—and banks already provide it. Savvier analytics practices, partnerships, and organization models can help financial institutions generate billions from data analytics, according to a study by BCG and Morgan Stanley Research. Open platforms are fueling debate within the banking industry. Pietro Sella, CEO of Italy’s Banca Sella Group, says that what they can really fuel is a bank’s future. Incumbent banks must cut costs and lift service standards to survive the challenge from fintechs and internet giants. Banks that reform their treasury operating models can better manage their liquidity, risk, and balance sheet performance and gain an edge over their peers. BCG’s research and benchmarking studies help financial institutions identify best practices and realize high-growth potential.